Focus on surety bonds - The Rough Notes Company Inc. In the surety bond market, nothing changes, except when it changes. What was expected to be some serious upheaval in the construction industry post-recession turned out to be a non-event. Instead of an influx of claims from what was predicted to be a rapid acceleration in projects, there was a slow, steady increase in business. The inundation of claims never happened. The industry remained steady. So did conditions in the surety bond market. An Aon Risk Solutions report shows the market enjoyed profitability over the last ten years that topped the previous 100 combined. Losses expected from the housing bubble bursting didn’t appear, and 2016 construction spending grew by 4.2%. Within the industry itself, conditions have remained stable. Susan Sallada, president of Universal Service Agency, says 2017 delivered little change in the surety industry, which has resulted in flat or lower pricing. “There is more than adequate capacity in the industry,” she says. “Pricing and capacity on reinsurance renewals have been similar or improved from previous years. There has been little noticeable effect from earlier hurricane claims.” Sallada adds that the outlook for the next 12 to 18 months is steady. Yet some emerging issues could affect claims going forward, Ciullo says. In particular, changes to a construction contractor’s business operations often drive claims. Welch agrees. “It’s been the same my whole career: Two of the biggest factors leading to difficulty are firms entering an area of expertise with which they have no familiarity and venturing out of their home territory,” he says. Kuykendall says claim drivers vary with the kind of bond involved. Contract bonds, he says, see claims arise from contractors growing too fast, taking on too large a job, trying to do too much work at once, and having too little working capital. “Claim drivers for commercial bonds include unscrupulous/dishonest insureds, apathy, non-responsiveness, lack of a sense of urgency, insureds taking advantage of their position or what they do, and so on. Agents and brokers need to try to understand and get to know their insureds,” he adds. Ciullo says commercial bonds see claims stemming from what he calls “tough bond forms—a perfectly solvent customer or principal, but the underwriter has written a bond that leaves it with very few options in the event of trouble,” he says. Sallada also sees online bond filing as an emerging trend. “It is the decision of the individual states to require bonds to be filed using this platform, and utilization is constantly changing. The process is still in its infancy and is difficult to navigate,” she says. Welch says that if handled correctly the evolution of such public-private partnerships in government projects could be good for the surety market. Project owners, he says, “want protection that their project will be built, as repayment of project financing is dependent on eventual revenue streams of the completed project. At times partial letters of credit are requested to cover short-term extended financing costs of potentially delayed projects. The surety industry has made great efforts to promote the surety bond product as a more comprehensive mechanism to protect against contractor default. On many projects the two instruments may be used in tandem. This evolving construction delivery method and how surety will complement the process will require a higher level of sophistication on the part of the surety industry,” he says. A larger issue, say the experts, is attracting and retaining skilled labor. Ciullo says a shortage of experienced labor and field supervision is having a significant impact on construction, which could affect claims going forward. Welch says a good portion of the workforce left the industry after the downturn in 2008. 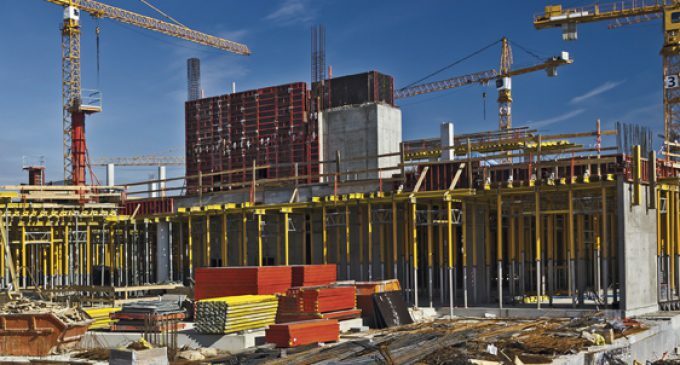 The construction industry’s ability to attract both labor and project management will be key to surety companies’ avoiding an uptick in claims. “If the construction market accelerates any more than it has, I don’t know where the industry is going to find the people,” Welch adds. Lori Widmer is a Philadelphia-area freelance writer and editor who specializes in risk management and insurance.